H.O.P.E. 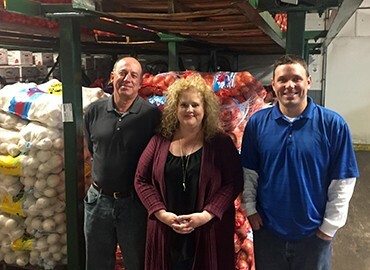 is so grateful to Vernon’s Produce for donating 250 pounds of fresh produce each week to be included in the lunches and produce bags we distribute. The children learn to love fruits and vegetables because they are introduced to top quality produce each week, and that means they are developing tastes and eating habits which will make them healthy for a lifetime. Thanks to Vernon’s, we have children running to the truck asking if we have brought carrots and broccoli this week! Our thanks go out to Pete Vernon, Kelly Venable and Chris Vernon for their ongoing kindness, generosity and compassion. We admire their dedication to helping the children of our community!